Six Tonnes de Chair Records in France has a newly released split 7″ to share. They’ve brought together the space rock wizardy of two Switzerland-based psych bands with DUCK DUCK GREY DUCK and MAGIC & NAKED. 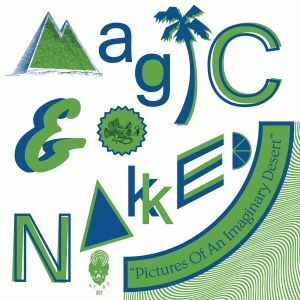 Up first on the split is Magic & Naked’s inclusion, “Pictures of an Imaginary Desert.” The track takes a starry-eyed blues-psych journey, driven by gritty guitars and a loose but steady rhythm. The track is largely instrumental, save for some distant coos and chants that sound veiled behind a layer of colorful stars. Guitars swirl and simmer as bass throbs and bounces through the astral path, sustaining their staggering pace by creeping along slowly but deliberately through the track’s curvaceous grooves. They lay it on heavy toward the end with a ripping, jewel-toned guitar solo that brings it all full circle. B-side “Camel Boots” is Duck Duck Grey Duck’s side of the single, and they keep the vibe of the A-side flowing. This best explains why these two tracks ended up on a single together – two different bands taking two different paths, yet they somehow end with a strikingly identical result. Duck Duck display their vicious blues rock with an attitude, adding in an extra pound and stomp compared to the A-side. It’s totally instrumental again where neon-speckled guitars do most of the talking, with solos that go from heavy to absolutely searing in just a brief moment. They place you right into the sweltering desert this 7″ was conceived in, where guitars bake and bubble into a hot and humid mess under the sun. Give you ears a listen right below, then snag the single before it’s long gone! BUY the 7″ from Six Tonnes de Chair Records – limited to 200 copies: 100 blue / 100 green ! 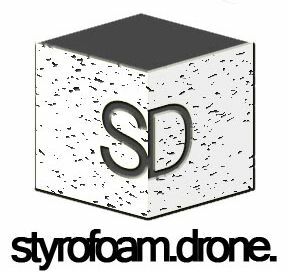 Posted on June 16, 2015 by styrofoamdronePosted in ReviewsTagged 2015, blues rock, Duck Duck Grey Duck, garage rock, instrumental, Naked & Magic, psychedelic, Six Tonnes De Chair Records, space rock.